This is the next entry in Best Album Covers, a series begun right here. 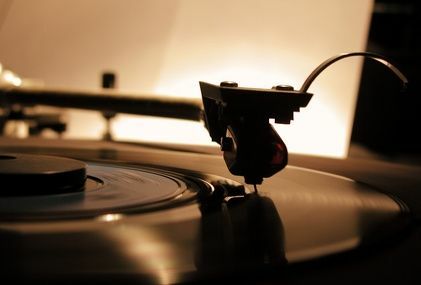 As has been referred to, the first successful long-playing microgroove record for the phonograph was introduced by Columbia Records back in June of 1948. However, album covers (the paper board packaging that held them) didn’t come into their own graphically till decades later. Eventually, they became a cultural stamp on the music of the time. First catching the eyes of potential record-buyers and later melding the musical and audio experience with the artist into a distinct visual form. Hear the song, envision the album cover. Why Compact Disc versions of album art don’t exactly engender the same reaction these days was covered in the previous post. Music label artwork continues to be noticed and discussed among the material published today on CD. It hasn’t lost purpose, for either new and old items. But without the same vigor or tactile passion of the past. Hence the reason for this series. Some register more with me musically than others, though. Yet, the artwork will always take center stage, at least here. Let’s continue shall we? Without a doubt, this was the game-changer in my life (as I pointed out in another series). The third album for The Lads (Please Please Me and With the Beatles preceding it), A Hard Day’s Night impressed like no other. All original material, not one cover song or filler in the bunch. Plus, it was the soundtrack for the Richard Lester film that became a world-wide sensation and launched the group into the stratosphere. Pretty impactful. And like the previous albums, the cover artwork stood out. And did so simply. Yes, just photograph stills. But iconic nonetheless. This was nothing like the bizarrely creative expression of surrealist H.R. Giger and the likes I covered in the previous post (which arrived the next decade over as it happened). It was a clean representation of the music group with uncomplicated imagery, but one that hadn’t been done hitherto. Much like that distinctive opening chord of the title song. The 60s brought that out. And we’re talking about the artwork for the British album, to be sure. Nothing wrong with the North American release. Like many, I’m just partial with this one. It should be noted when the album was released to CD (1990 and later remastered for 2009), it was with the British Parlophone artwork. United Artists Record’s cover art for the American version was left by the wayside. Just heads on a page. Simple. Yet, it was a clever graphical premise representing a group just beginning to take its place in history. The second of the five album covers designed and photographed by the famed British lensman, Robert Freeman. Ultimately, A Hard Day’s Day was visually, musically, and culturally elegant. And imitated ever since. Vinyl still retains a fantastic sound. Thanks, FH. What an interesting idea to write about! Aai Laaikes!! My older sister (by 15 months) was more of an early Beatles fan than I ever was. I preferred the Stones and didn’t start noticing the Beatles until ‘Rubber Soul’ (another great cover). Their early albums covers all leaned minimalist (As did The Yardbirds, Kinks and Simon & Garfunkel in the US) and this one is cool. With a possible precursor to ‘Abbey Road’. The same photographer did ‘Rubber Soul’, Kevin. But, I’m getting ahead of myself. Thanks very much, my friend. Basically ALL of their covers were legendary. 😀 I think Revolver may actually be my favorite. Though youre right, the simplicity here goes a long way. Great cover! They were somethin’, alright. Don’t worry, we’ll get to ‘Revolver’, Fogs. Many thanks. Great post Michael. I didn’t realize until I was studying design how very very influential this cover was. The older I get, the more I realize how very very influential The Beatles were. That’s a great line from the film, huh? Love this film, album, and artwork. It was influential, and never gets old. Great to hear from designers like you and Ruth in this series. Thanks, Paula. Great post, Michael! I totally concur with your pick, great design indeed, simple but distinctive! I very much appreciate your thoughts, Ruth. Keep ’em comin’! Thanks. I love the idea of the album design, but George with a cigarette I think was a poor choice of image. Could encourage the fan’s to think that it’s cool to smoke. It’s something we very much notice these days, Chris. Reflective of the time, though. Welcome and thanks for the comment. I think the overall effect is added to by the identical bowl cuts they all have. Good point, Morgan. The style always did catch the eye. Thanks, my friend. And Javier Bardem had to go and spoil things by wearing the cut in NCFOM ;-).